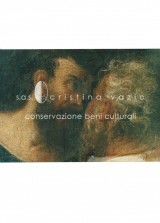 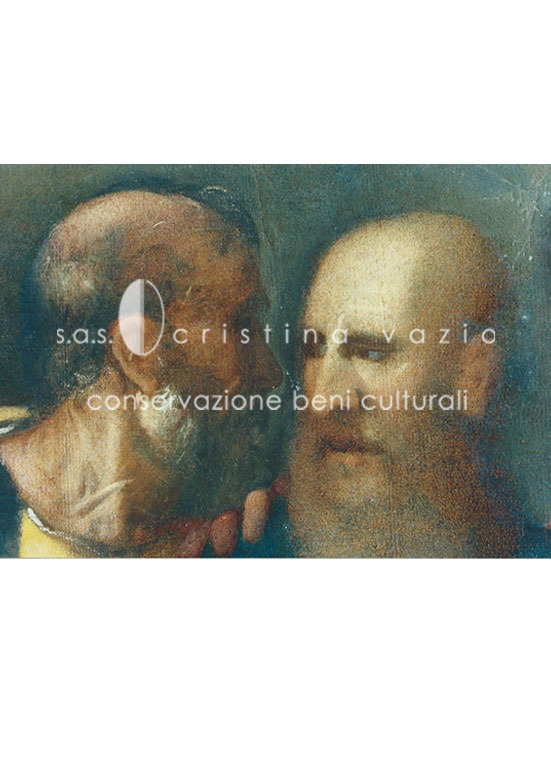 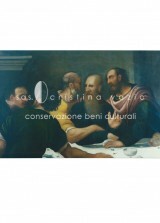 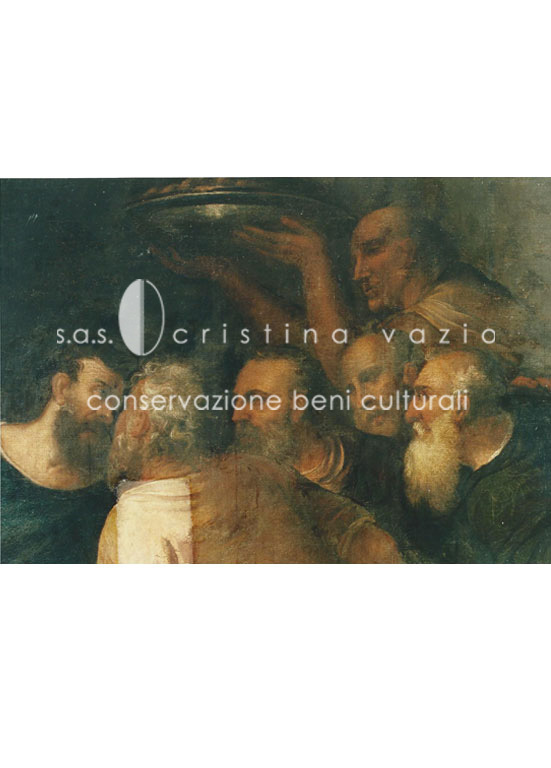 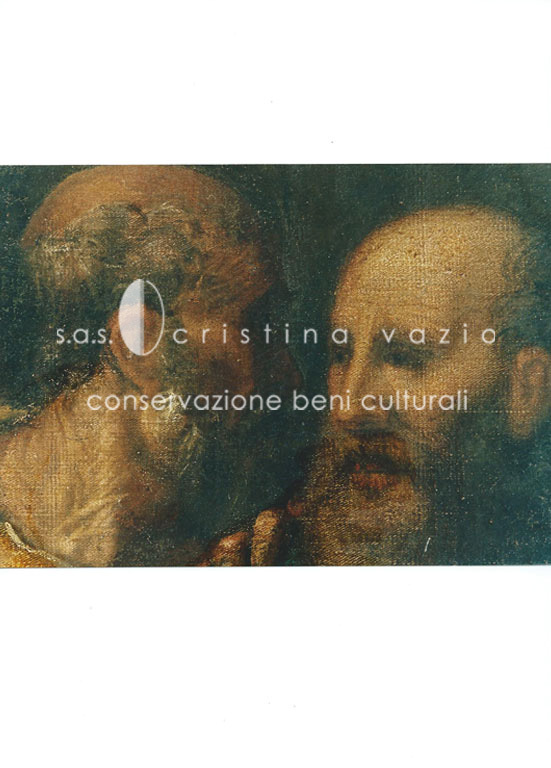 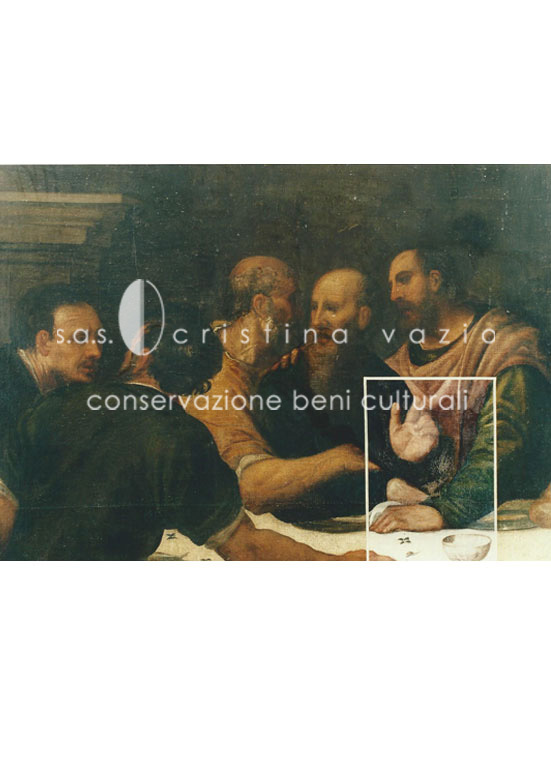 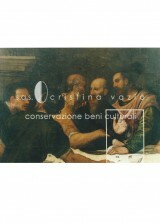 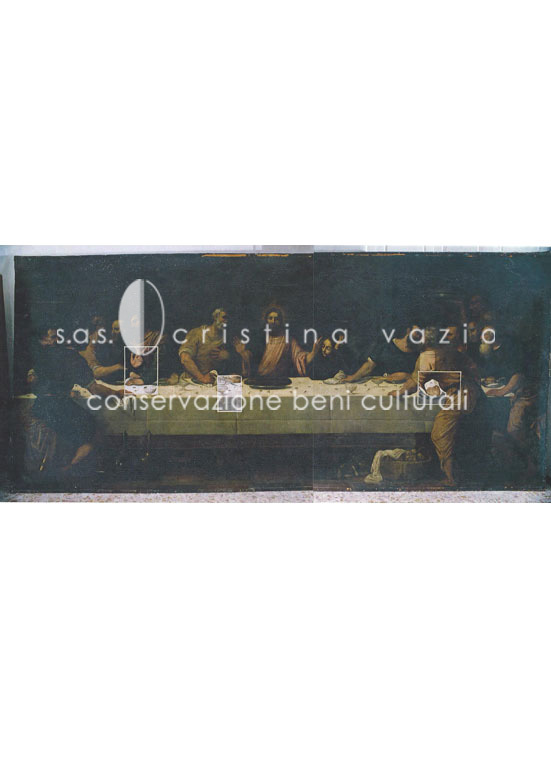 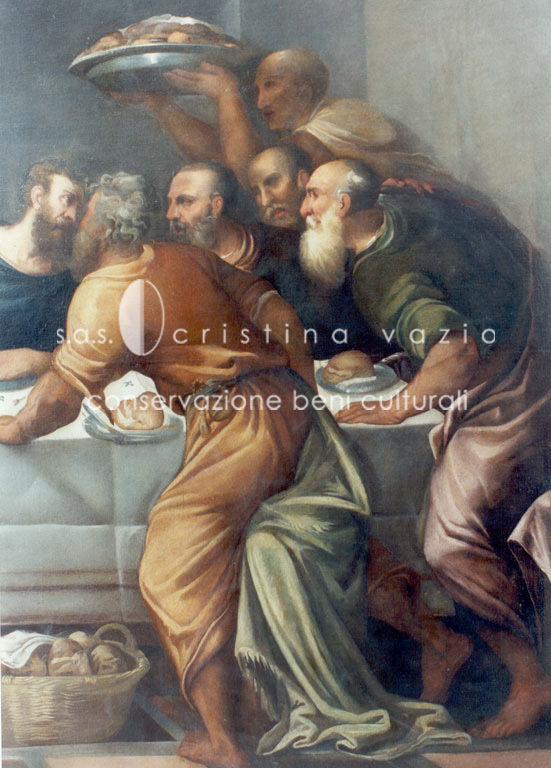 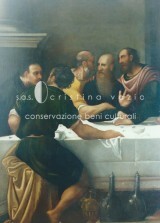 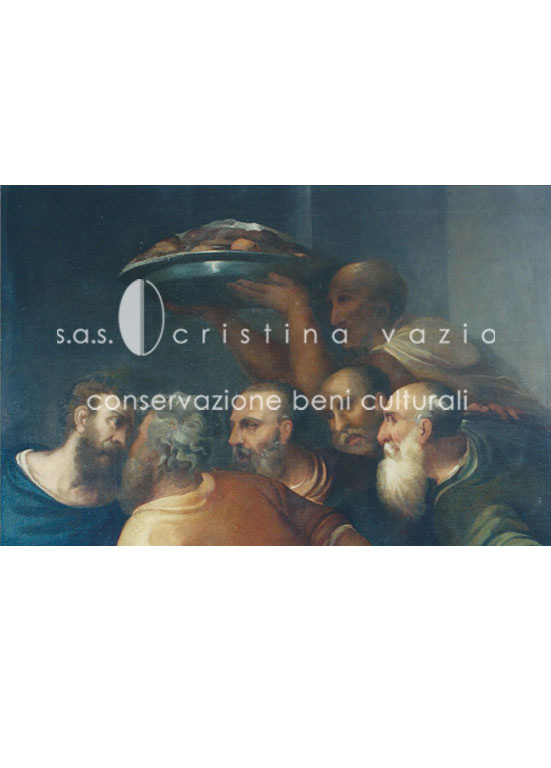 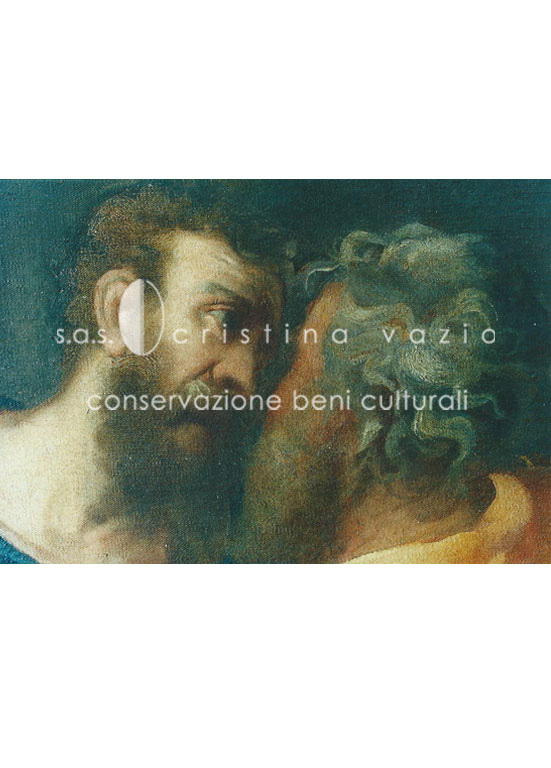 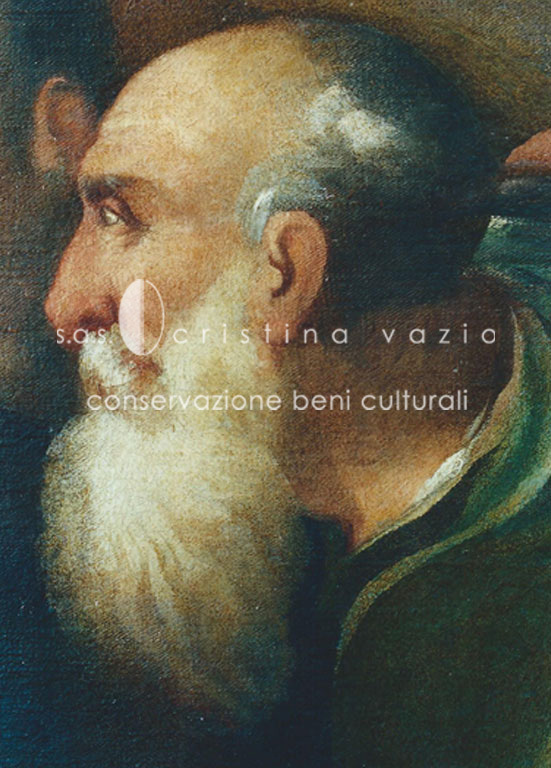 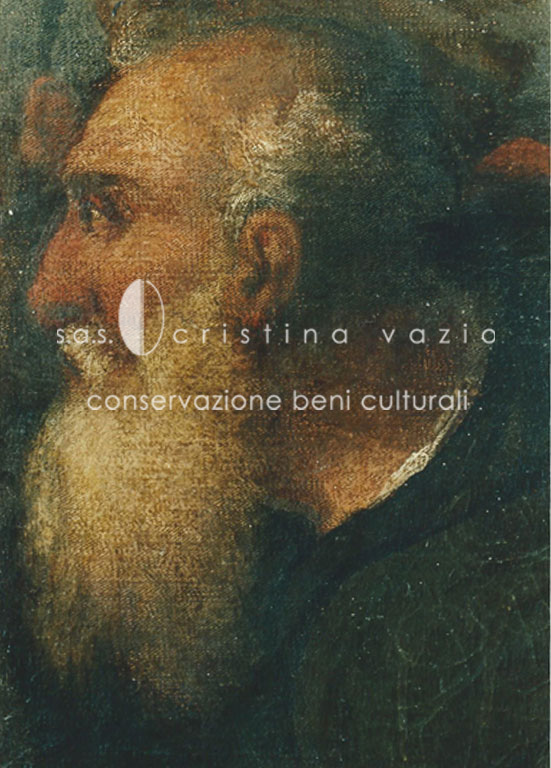 The restoration of the canvas painting “The Last Supper” attributed to Palma il Giovane has been executed in the context of the project to renovate the Villa Minelli complex in Ponzano Veneto, Treviso, headquarters of the Benetton s.p.a. This effort was undertaken by the Architects Afra and Tobia Scarpa, with Professors Laura and Paolo Mora as consultants. 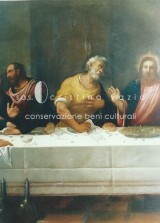 The painted surface presented a general darkening due to inappropriate varnishes from previous restorations. Furthermore the canvas suffered from undulation and deformation due to erroneous tensioning on an inadequate frame. 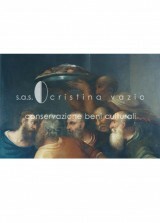 Our intervention was carried out on the painted surface and the canvas support.